As a fan of music, I'd love to learn how to make a song. Devoting time to learning music theory, however, isn't exactly on my list of priorities. Music lessons are intimidating, they're a little inconvenient, and definitely pricey. 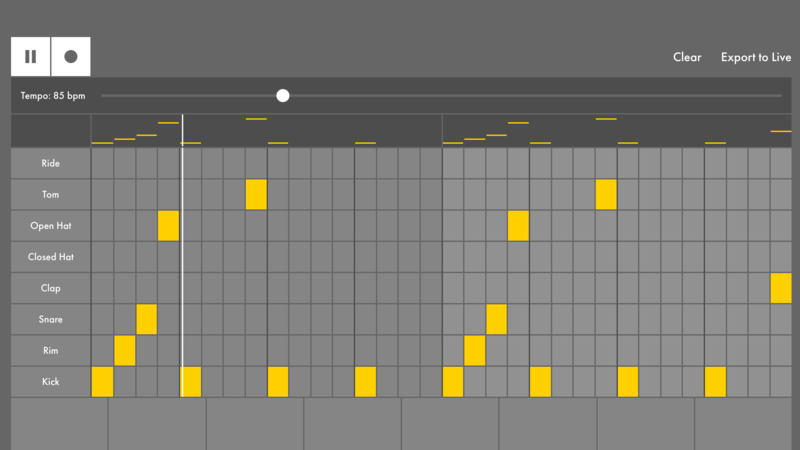 So this interactive tutorial on beat-making from Ableton is perfect for the budding musician in all of us. It's got a ton a tools that make advanced concepts dead simple, especially since you can play with them yourself. The lessons are broken up in chapters and subsequent lessons, starting with the basics of beat-making. The lessons break down what you need to know in just a few sentences, provide an example of the concept. Each lesson, from chords to song structures, has an interactive component so you can experiment with what you've just learned. 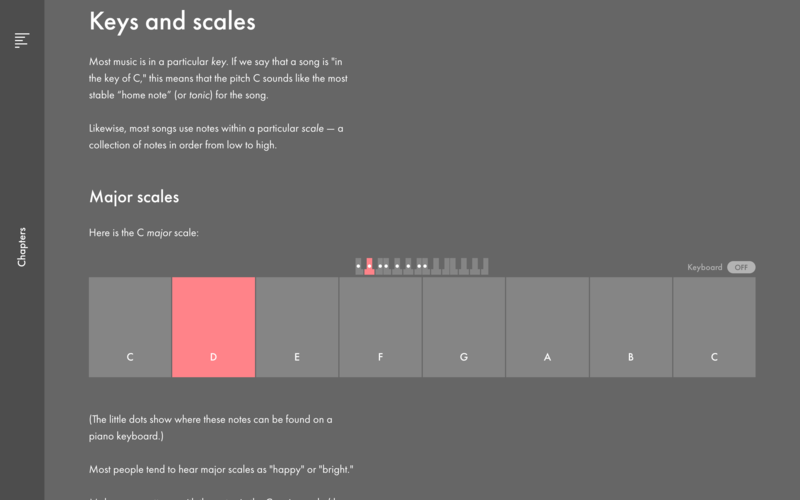 The scales section, for example, presents you with a full piano scale you can play around with, along with a looping piano track you can mess with to learn about scales. It even features examples of beats from Queen and Beyoncé, among others. The interactive music-making tools are easy to understand and present one concept at a time, letting you understand how each one interacts with the other as you progress. By the time you finish the six introductory chapters you'll understand how to use the playground section, a page where all the tools are available for you to make some rudimentary tunes. You can clear the work to experiment or export it to work on it in Ableton Live. If you want to learn more you can check out the advanced section, which offers even more song creation tools to explain concepts like inversions and diatonic triads. In an hour I made a beat I thought was pretty cool, and just exported it with a click.